When we dine out, we expect good service and safe food. We want to consume healthy, well-prepared and protected food. Restaurants that fail in this regard often face allegations of harming customers. What are some of the niche risks customers might face in your dining establishment? In such cases, your general liability insurance might help cover losses you cause. Restaurants, therefore, need specialized liability coverage. 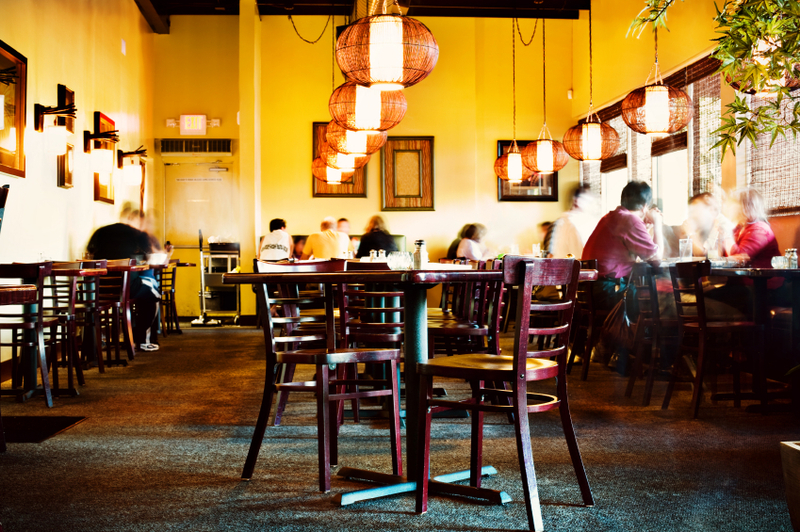 Ask your insurance agent to tailor your coverage to specific restaurant needs. One of the most common risks people associate with dining out is the potential of harm from the food. For example, food poisoning and burns might result from eating certain dishes. That could lead to medical bills, lost income and pain and suffering for affected patrons. As a business owner, you strive not to let this happen to your customers. However, if it does, restaurant liability coverage can step in to help the injured party. By filing claim, the injured patron might receive compensation for their excess costs. If a patron sues the business, the policy might cover legal fees of the business owner. It may also help the business provide a settlement to the claimant. While some liability policies won't cover injury resulting from food, others will. This underscores the importance of tailoring coverage specifically to a restaurant. Ask your agent about how to adjust your protection to your policy specifications. At times, you will be able to get liability coverage within a Business Owners Policy (BOP). It combines many common elements of commercial insurance. However, at other times, you might have to get your general liability coverage in its own policy. Your agent can advise you on the best course of action. Liability insurance usually only covers unexpected or unpreventable harm. In other words, if you could have prevented the harm eating your food might have done, you might not have coverage. That reinforces your need to provide a safe, sanitary product to your customers. Let's consider some of the ways your service might result in harmful food, and how you can avoid these issues. Most of us want a hot meal. However, we don't want to get burned by eating it. Burns in restaurants might result from any number of risks. A spilled hot drink could fall into a customer's lap. A hot plate could cause burns if touched. Even hot food could cause someone to burn the inside of their mouth in the right circumstances. Most restaurants must follow safe service guidelines regarding the temperature of their food. They usually have an obligation to warn customers about the presence of burn risks. These can come in the form of either written or verbal warnings. If you don't cook your food appropriately, you might harm customers. For example, serving undercooked chicken is inadvisable. It could easily lead to bacterial illness or food poisoning. Chefs must understand when food is ready to serve. In some cases, restaurants can serve undercooked food, like rare meat or runny eggs. Yet, many must tell patrons that consuming these dishes could lead to harm. In such cases, the business often is not liable for damage caused. For example, if someone orders a rare steak and it makes them sick, they might not be able to sue successfully. Still, liability coverage might pay costs from lawsuits that might result anyway. Food intolerance could cause life-threatening side effects for those who consume them. The risk of a liability claim might skyrocket if someone receives a harmful dish. Restaurants should therefore always disclose all ingredients included within certain dishes. They should also let patrons know about seasonings or cooking oils in preparation. Most restaurants must also follow cross-contamination rules. For example, you cannot prepare meat dishes in the same area as vegetables in most cases. This is a courtesy to patrons who may not want to eat certain foods for personal reasons. However, it also helps keep potentially-harmful bacteria away from clients. The food was not stored in appropriate temperatures or humidity. Items have passed their expiration dates. Pests, mold or other waste has touched or eaten the items. Someone dropped the food on the floor, or otherwise improperly handled it. Because this food likely touched harmful elements, it cannot go to customers. Proprietors should inspect every item before and after preparation for quality assurance. It will likely help reduce the liability risks posed by your food. Talk to a general liability insurance agent at Tanenbaum Harber Insurance Group. We can tell you how to target your insurance protection to your restaurant's needs. This will likely take considerable attention to detail. Keep in mind, your policy will need to address more than just risks from the food. Contact us today and we can help create a more comprehensive policy for your unique needs.